RVS twisted cord (RVS, ZR-RVS)_Guangdong Zhujiang Wire & Cable Co., Ltd. Features: Scope of application: It is mostly used for the detector circuit of fire alarm system. It is also suitable for soft and light occasions such as medium and light mobile appliances, instrumentation, household appliances, power lighting, etc., as well as for connecting power amplifiers and audio equipment, broadcasting system transmission work. It is also used in the detector circuit of fire alarm automatic alarm system. It is also suitable for soft and light occasions such as medium and light mobile appliances, instrumentation, household appliances, power lighting, etc., as well as for connecting power amplifier and audio equipment, broadcasting system transmission power amplifier amplification processing. Audio signal. 1. It has excellent heat resistance. 2, double white core for direct connection to the lamp line; red and blue core for fire, alarm, etc. ; red and white core for broadcast, telephone line; red and black core for broadcast line. 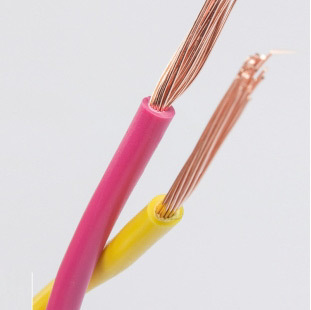 RVS wire, full name: copper core PVC insulated stranded connection soft wire, twisted multi-strand soft wire, referred to as twisted pair, commonly known as "flower line", at this stage, this kind of wire is mostly used in fire protection system, also called fire line . RVS is made up of two RV wires of different colors. It is made of high quality oxygen-free copper. It is made of good quality and is not easy to be oxidized. Its appearance color can be customized according to different needs.